The Phoenix Beach Hotel offer a variety of rooms, some with sea view, including double rooms, twin rooms and family rooms suitable for 3-5 persons. 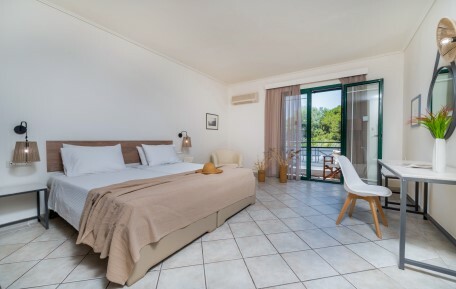 Each room is unique and tastefully decorated with individual air-condition/heating, safety deposit box, satellite TV, direct dial telephone, music system, electronically controlled 'do not disturb' sign, fridge, marble bathroom, hairdryer, magnifying mirror, bathroom accessories and furnished balcony. All of the accommodation is spacious and most enjoy a view of Tsilivi’s magical beach.